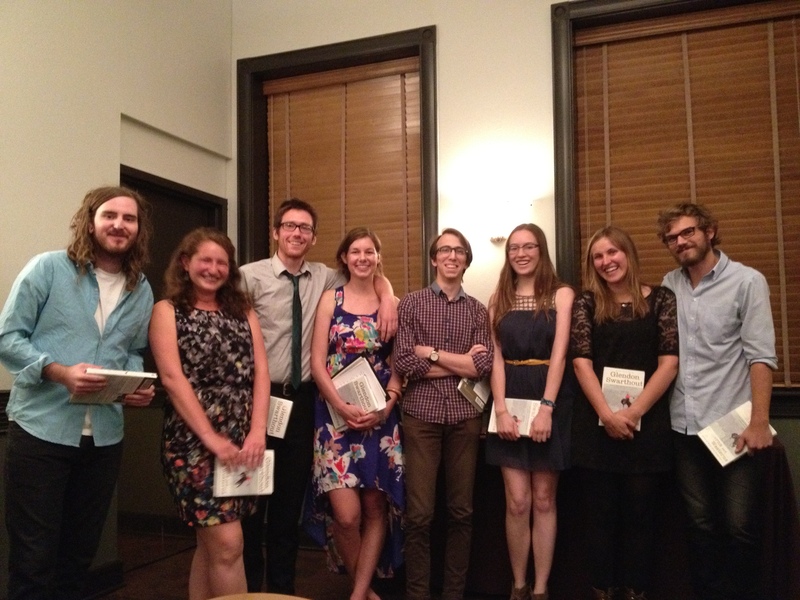 ASU’s Creative Writing Program is so excited to present its brightest, most talented alumni writers in this new series, the Stellar Alumni Reading Series. In this installment, Irena Praitis (MFA 1999; PhD 2001) and Bojan Louis (MFA 2009) will read from their work. The reading will take place Thursday, October 26 from 7pm to 8:30pm in the Cochise Room of the Memorial Union on the ASU Tempe campus. A book signing will follow the reading – Bojan Louis is the author of Currents, and Irena Praitis is the author of The Last Stone in the Circle. This event is free and open to the public. We previously featured this event in our Contributor Updates because Irena Praitis was featured in our very first issue – read her poems in Issue 1 here. For more information on the event, check out the ASU website and the Facebook page. Award-winning poet Rigoberto González will be reading on Monday, November 7 at 7 p.m. at Arizona State University, Tempe Campus. This event is free and open to the public. Memorial Union’s Pima Auditorium will open its doors at 6:30 p.m.
Rigoberto González is the author four books of poetry, most recently Unpeopled Eden, which won the Lambda Literary Award and the Lenore Marshall Prize from the Academy of American Poets. His ten books of prose include two bilingual children’s books, the three young adult novels in the Mariposa Club series, the novel Crossing Vines, the story collection Men Without Bliss, and three books of nonfiction, including Butterfly Boy: Memories of a Chicano Mariposa, which received the American Book Award from the Before Columbus Foundation. He also edited Camino del Sol: Fifteen Years of Latina and Latino Writing and Alurista’s new and selected volume Xicano Duende: A Select Anthology. The recipient of Guggenheim, NEA and USA Rolón fellowships, a NYFA grant in poetry, the Shelley Memorial Award from the Poetry Society of America, The Poetry Center Book Award, and the Barnes & Noble Writer for Writers Award, he is contributing editor for Poets & Writers Magazine and is professor of English at Rutgers-Newark, the State University of New Jersey. In 2015, he received The Bill Whitehead Award for Lifetime Achievement from the Publishing Triangle. As of 2016, he serves as critic-at-large with the Los Angeles Times and sits on the Board of Trustees of the Association of Writers and Writing Programs (AWP). He earned graduate degrees from the University of California, Davis, and Arizona State University in Tempe. This event is hosted by the ASU Department of English and its Creative Writing Program, along with the Humanities Division of the College of Liberal Arts and Sciences. For more information, please visit the event page and/or the Facebook event. The Department of English presents a celebration of the annual Glendon and Kathryn Swarthout Awards in Writing, with readings by award-winning ASU fiction writers and poets. Also, join us in celebrating the life of the late Miles Swarthout. The free and open event will take place Thursday, April 21st, from 6-8 pm in the University Club, Heritage Room on Arizona State Tempe campus. Among the oldest and most celebratory traditions in the Department of English—this year will be the 54th year—is the evening we gather to honor our student creative writers at the Annual Swarthout Awards. Because the Awards are in creative writing, it is easy to forget that Glendon and Kathryn Swarthout gave their gift to the Department of English as a whole in support of all students who write. There will be a pre-reading reception to welcome friends of Miles Swarthout, son of Glendon and Kathryn Swarthout. Before the Awards, a brief tribute to Miles will be offered by Stacie Anfinson. Arizona Poet Laureate Alberto Ríos will serve as inimitable emcee. We in the Creative Writing Program hope many of you will join us to celebrate the students of the Department. Refreshments will be served. For more information, please visit the English department website and the Facebook event. Each Tuesday we feature audio or video of an SR Contributor reading their work. Today we’re proud to feature a podcast by Les Kay. Les Kay holds a PhD from the University of Cincinnati’s Creative Writing program. His first chapbook, The Bureau, is forthcoming from Sundress Publications in 2015. His poetry has recently appeared or is forthcoming in a variety of literary journals including The McNeese Review, Redactions, Up the Staircase Quarterly, Wherewithal, Borderlands: Texas Poetry Review, Southern Humanities Review, Whiskey Island, and Sugar House Review.